A French writer, poet, essayist, playwright and creator of collages. He was born near Paris in 1947. 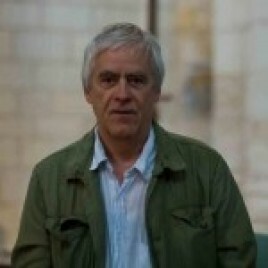 Since 1983 he has been a member of the Oulipo Literary Group (the Workshop of Potential Literature), set up by François Le Lionnais and Raymond Queneau. In 2013, Polish translation of his book Mon bel autocar (My Beautiful Bus) saw print.